Zikodrive sensored brushless and brushed DC combined engine controllers drive sensors-free DC motors and/or brushed DC motors. Good for pumps and process control applications where the same pump case and body can be used, but different motors are used. Change the engine in the pump and quickly change the cost and performance of the pump. Choose from a range of engines to work with your controller. Assemble a powerful motion control package today and get your project moving. OEM options available branding, hardware mods and more. As always, if you have any questions, please get in touch and we will be happy to help. Standard UART setup. Full technical support as required. 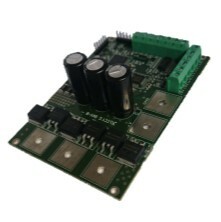 The ZDBL20DC-M is a flexible brushless DC (BLDC) and brushed DC motor controller. Available with a range of motors for easy setup. Sold with standard setup (1 x pot input for speed, 1 x pot input for torque, enable and direction inputs) or request a custom programme here. 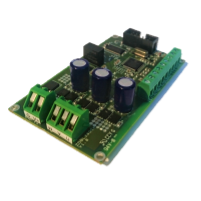 The ZDBL20DC is a flexible brushless and brushed DC motor controller designed to offer a range of solutions. Standard setup will include 0-5V speed control with enable and direction inputs. Alternatively you can request a customised motor control programme here.